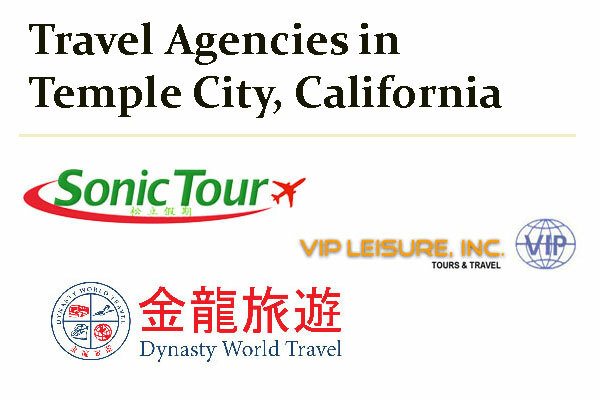 Travel Agency Temple City CA | Sonic Travel & Tour, VIP Leisure, Inc.
Find here all travels agencies located in Temple City, California. Ocean Cruises, River Cruises, Taiwan Seasonal Special Tour – City Tour (Daily Departure), High Speed Train and Luxury Train Tours, Japan Tour (Tokyo/Osaka/Kyoto, Hokkaido), Thailand, Singapore, USA Canada & The Americas (Grand Canyon, Napa & San Francisco). Travel agency located in Temple City CA. Offers inbound tours, outbound tours, cruises, hotel booking, ticketing etc. Chinese speaking travel agency in Temple City, California. Selling plane ticket, local tour and international tour.